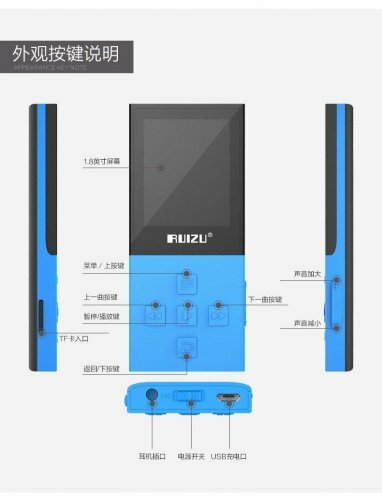 An MP3 Player from Ruizu that packs a handful of feature set. I’d like to thank Calvin at Music Sanctuary for a discount on the purchase of the cable, in exchange for my honest review on the cable. In the cable market, what I have noticed is, the cables that get the most attention are either the expensive hi-fi cables or the entry-level upgrade cables. So it is essential for a cable manufacturer to have a compelling contender as the entry level cable. 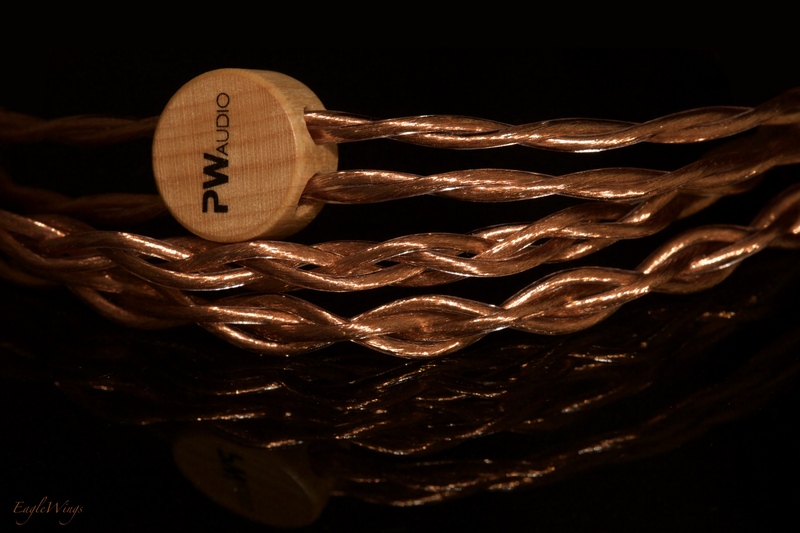 The No.5 is PW Audio’s entry level upgrade cable made of OCC Copper Litz wires. The build quality of the No.5 is top notch. The quality of the materials used, the finish and the sturdiness leave no place for any remarks. The cable is flexible and void of cable memory, which contributes significantly to the ease of use and storing. This also helps to wind these into pretty coils for photos. The thickness of the cable is around average for a 4-Wire cable and is light in weight. 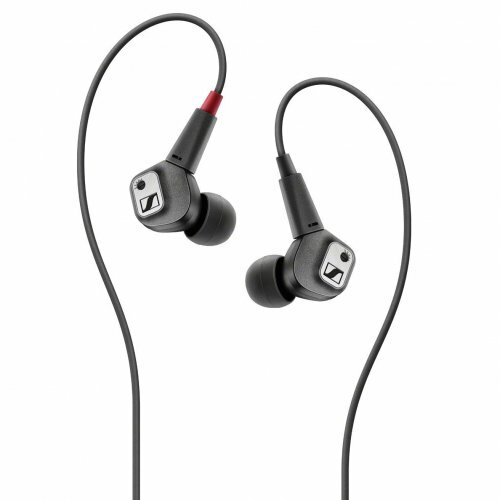 The IEM end does not have memory wires, but does have pre-shaped tubings to help the over-ear wearing. The cable I received came with a wooden choke, which I prefer over a metal choke that I have seen in some pictures, as I am assuming the metal choke would be a tad heavier and might tug on the cable. Microphonics is again zero. All these factors add up to a very pleasant experience of using the cable. No.5 does so many things well, but its priority is timbre. It is willing to sacrifice some of the exciting aspects for a more mature sound. This is not a cable that will make your jaws drop with its soundstage or blow you away with resolution. But it captivates you with a sense of rightness in the tuning as it is quite linear in its signature. That is not to say that it is completely a neutral cable. Its tone actually falls on the warm side due to the inherent warmth in the midrange and a smooth treble. But because it maintains a linearity from bass and all the way to the the treble, the warmth strictly stays within the note and doesn’t shroud the midrange. As the bass on the No.5 is tilted towards the mid-bass, the dynamics and power are not the stand out traits of the cable. It does however offer good rumble, as the lower bass is still adequately present. Mid-bass takes control of the bass with good punch and offers a touch of richness to the presentation. But it is not necessarily enhanced to sound overly warm and draws the line before it makes the sound woolly. The midrange is this cable’s forte, because of the transparency and the naturalness it is able to portray. It is not the kind of pseudo-transparency that is achieved through boosted upper-mid or treble. But the kind of transparency, that is achieved through linearity in the midrange, allowing instruments and the vocals to be portrayed without any coloration. This transparency and the linearity results in excellent timbre, that is not quite common among entry level cables. The note structure in the midrange are full bodied and nicely articulated to portray sufficient details as well. The treble is rather linear with moderate extension and so the resolution is good, but not a highlight of the cable. Treble extends a helping hand to the mid-range to maintain the natural timbre, by not venturing into brightness. And so this is not a cable that you choose for sparkle or excitement. Overall the treble falls on the smoother and forgiving side. Soundstage may not be as holographic as on hi-fi cables, such as the Leonidas or 1960. Although it only constructs a decent sized stage, the stage is quite clean and well organized. But don’t misinterpret the stage to be small. It’s defintiely larger than stock OFC cables. It’s just that it can’t compete with the big guys. The imaging is very good for an entry level cable, but again, expecting high quality precise imaging from a $150 cable my be too much to ask for. 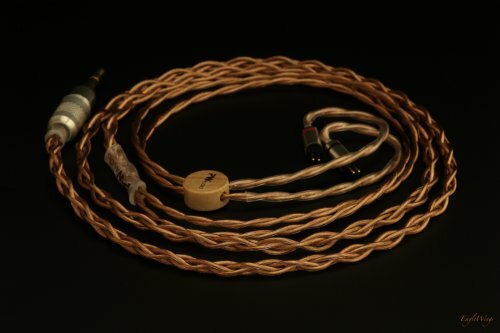 The 2 most common types of stock cables, that IEM manufacturers bundle with the IEMs are OFC and SPC. OFC is a copper cable with average purity that usually has a veiled and mushy sound, typically holding back the capabilities of the IEM. Because of the veil, the cable prevents the IEM to showcase its true definition and makes the stage appear clustered. The SPC cables on the other hand, do bring some exciting aspects to the table, such as a dynamic bass and improved clarity, resolution and soundstage. They usually have a mild U shaped signature due to the bass and treble being more pronounced in the presentation. And because they don't support the midrange adequately, they often lack in tone and timbre. To me, the shortcomings of most SPC cables trump their own benefits, except when you are precisely after the very signature and presentation that SPC cables offer. Coming from an OFC cable, you would notice improvements across the board. Starting from the bass, the bass would have better definition on the No.5 with better textures/layers. What you would have perceived as single, mushy, rounded note, would open up to be finer layers of bass. The mid-range will sound more transparent and you will be able to identify instruments, as they would have better timbre and not sound like plain notes. The treble might be smooth on the No.5, but is still more articulated and detailed than an OFC cable. No.5 will also have a better stage in terms of space and imaging with better separation of instruments. There is not one aspect where OFC cable has an advantage over the No.5 in terms of sound quality. Coming from the SPC, you'll hear a more linear and gentle presentation that is free of stress in the upper midrange and treble. The bass of most SPC cables would be focused on the sub-bass, as the mid-bass is often countered by the brightness. And because of that, SPC cables' bass will carry more power and dynamics while lacking the required warmth. No.5 on the other hand will have a warmer and a softer bass in direct comparison. SPC cables typically present an articulated but stressed mid-range that is void of warmth. They sound very clear and nuanced but usually lack the naturalness and fall on the thin side. No.5 on the other hand presents a more natural mid-range with full body and warmth. Think of solid state amps vs tube amps. The same trend follows in the treble. SPC cables usually have a brighter treble and so will sound more articulated there. No.5 will be a touch smoother and forgiving. SPC cables exist in various grades. Depending on the grade, they exhibit different level of resolution, separation, stage and imaging. For example, the SPC cable that is included with the LCD-i4 is of high grade and exhibit very good resolution and staging. So against such an SPC, No.5’s resolution and stage can’t keep up. But with low grade or medium grade SPC cables, like the ones that come with Simgot EN700Pro or the AAW W900, No.5 would offer anywhere between decent to marginal improvement in terms of stage and resolution. Given the difference in signature and presentation, the choice between an SPC cable and the No.5 will come down to a matter of preference and use case. For example, if you listen to a lot of electronic music, SPC might be a better choice as the No.5 wouldn’t offer the excitement and the dynamics that a SPC would. On the other hand, if the type of music you listen to involves acoustic instruments and vocals, where timbre is a priority, No.5 might be the better choice. Because of the linear signature and the slightly warm tone, the cable is typically a good all rounder cable, ideal for being a step up from a stock cable, especially an OFC cable. But if I have to be very specific, the cable is highly recommended for music genre that prioritizes instrument and vocal timbre. The cable could also be used to bring out the mid-range in IEMs like U18 or Fourte, where the bass and treble try to steal the show. 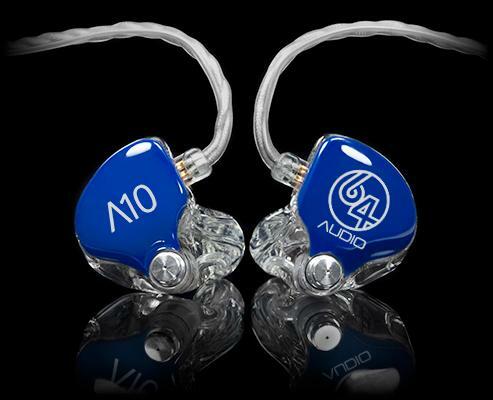 And pairing the No.5 with a mid-centric IEM, would let the IEM showcase the mid-range prowess. But given the cable’s nature, it may not be the ideal cable for genres where an energetic sound may be preferred. As stated in the above section, No.5 may not be the best cable for synthetic or electronic type music. Very few reviewers have stressed on the importance of the tone and timbre in a musical presentation. The pursuit for timbre seems to have been mostly lost in the midst of recent trend, with people going after monstrous soundstages and unheard details. But every now and then, we come across a gear that sounds right. You could say it has a sound of a tube amp that is done right. Meaning it has a gentle warmth in the midrange that makes the music beautiful and inviting. So if you are in the market for an entry level cable that offers improvement throughout the board, with a priority in timbre and tonal balance, No.5 should be on top of your list. deafdoorknob, iemcamp, Aslshark and 6 others like this.